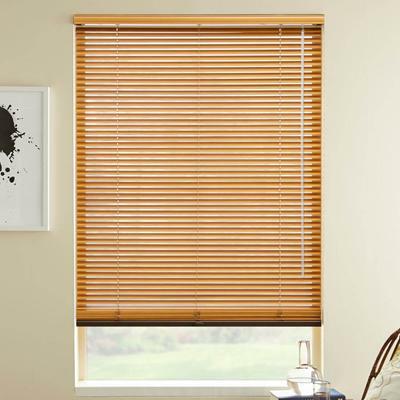 Save 30% over in-home custom blinds retailers. Same quality products for less! Today's Sales: Limited time offer! Today's Sale applied in shopping cart. Save 30% on All Products + Buy 1, Get 1 Half Off Everything! Applied in cart. This product is considered child safe when cordless lift options are selected. We strongly recommend choosing these lift options for homes with children or pets. Remember: not all windows are exactly the same even if they look it. Please be sure to measure each window before ordering multiple of the same size window covering. *Some or all of the features/options may not be available based on your selections or the requested size. Inside mount means the window coverings will be mounted and hung on the inside of the window frame, or the ceiling. Not recommended for shallow windowsills. Outside mount means the window coverings will be mounted and hung outside of the window frame, making it ideal for shallow windowsills or for more complete light blockage by reducing the halo effect. You may enter a room name to help you specify where each blind goes. Each blind will be labeled accordingly when they arrive from shipping. 2 Blinds on 1 Headrail is not available for blinds under 48" wide. Ooh la la! Perfect for French doors or windows with shallow sills, our 1" Select American Hardwoods are the piece de resistance your décor deserves. Custom made in the United States, mix and match these petite, eye-pleasing wooden window treatments with their 2” and 2-1/2” American Hardwood counterparts to create a cohesive, coordinated design on all the doors and windows throughout your home. Choose from an assortment of colors and stains to highlight the unique wood grain and naturally add just the right amount of texture to any room. Each hardwood product comes with a 1-½” valance featuring an innovative, hidden magnetic clip system for fast and easy installation. For wide windows, you can mount two to three separate wooden coverings on a single headrail with a shared valance for a smooth, seamless finish. And for smooth, effortless operation, go with the optional Cordless Lift & Lock™ system to raise and lower your custom wood blinds with the touch of a button. Blinds 17-7/8" net width and under must have split controls. Tilt and lift controls cannot be on the same side. Cordless Lift & Lock™ max. height: 84". Heights restricted as width increases. As with all wood products, the width of slats can vary up to +/- 1/8”. 1/8" deduction taken at factory on inside mount valances. For windows that have a narrow depth, you can request inside mount returns. Headrail can be made up to 96" wide. Wider windows will need to have multiple products installed side by side. Valance and slats may not perfectly match due to natural dye lots. Tilt wand is standard with Standard Lift and Cordless Lift & Lock. 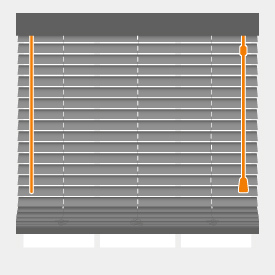 Lift cords must be located on the outer side of 2 Blinds on 1 Headrail to allow for cord cleat installation. Product is not eligible for 24-hour hold time. Changes/cancellations are not guaranteed once order is placed. My wife and I were going to replace the 15 vinyl blinds in our home with wood blinds. We needed the 1" blinds because we have double hung windows. She wanted complete privacy---meaning blinds with no holes where the lift string goes thru. 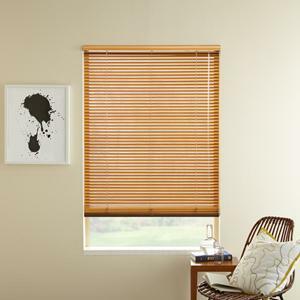 After ordering samples and looking at pictures on the website, I felt good about the blinds. But still, I decided to order just one---not all 15---to make sure they were what we ordered. And, am I glad I did. When the blind arrived, it has holes where the lift string goes. I called and asked to return the blind and was told they could only give me a credit toward another order. Well---if you don't have 1" blinds without holes---what would that order be. Thank goodness it was only $87 and I only ordered one---and not 15. The website picture is misleading. So buyer beware about the return policy. These blinds hand crooked at the bottom and since I can't lift them up, there is nothing I can do. Blinds arrive in good condition and were easily install by myself. 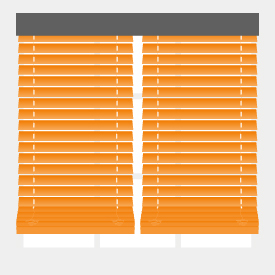 In shopping around it was obvious SelectBlinds had the best price. The blinds were top quality. Sign up for emails and get exclusive offers! Sign up now for insanely amazing inside deals! No thanks. I'm closing the window on this opportunity. 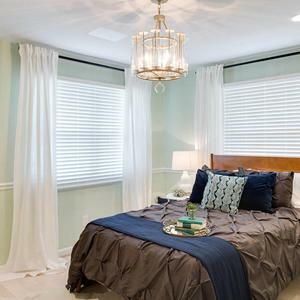 Let's get started on selecting your new window treatments!